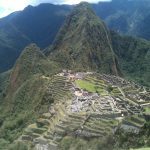 The vast majority of people that plan on visiting Peru base their trip around following the Inca Trail to Machu Picchu on a 4 day adventure. 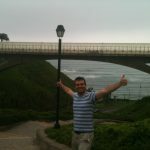 There is in fact a much greater list of things to do in Peru, therefore I felt it was important to highlight all the other amazing experiences you could have. Ok, I admit, I needed this one in, firstly because it looks epic and is in the new seven wonders of the world. This is the most visited site in South America, with most coming between the months of June and August, meaning sometimes the crowds can be surprisingly big. As Machu Picchu is 2,430m above sea level, you might be surprised how hard it is to breath, so take everything slowly and keep some spare oxygen on you just in case. 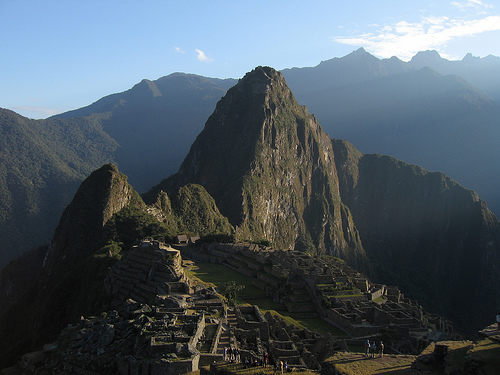 You will also get the opportunity to watch llamas up Machu Picchu as they walk and spit all around you. 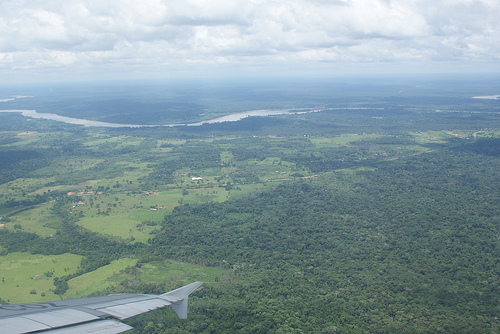 Behind Brazil, Peru has the 2nd largest amount of the Amazon rainforest, a fact often unknown to tourists and travellers. You will therefore have an opportunity to see one of my favourite animals, the sloth, as it either sleeps or lazily crawl to a tree to sleep. You can follow the jungle canopies to the lodges and the spend the night in the rainforest, listening to the sounds of wildlife. This beautiful volcano doesn’t require any special permits, meaning you can hike when you like and camp where you like. It is fairly easy to climb the entire thing without too much effort, however I would avoid the winter months when ice can be found all around the volcano, making the walk a lot harder. 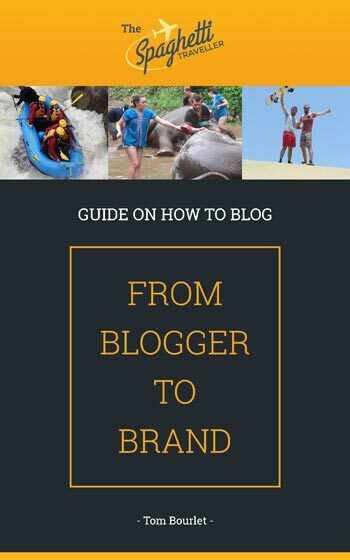 I’m obsessed with white water rafting, and if you are too, then this is a definite for your list. 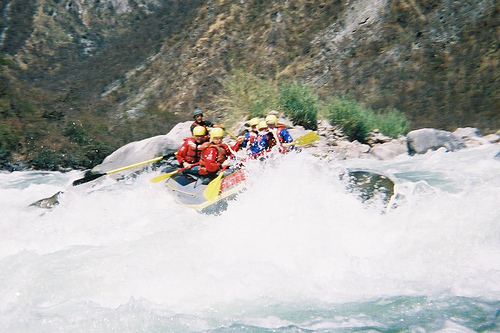 The Apurimac river is about 4 hours from Cusco where you can do 1 or 2 day voyages. The rapids are class II and III, so make sure you’ve already done some practice white water rafting somewhere else, so you know what to expect. 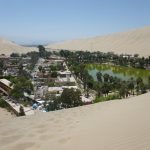 A local will take you by sand buggy up into the desert and then drive you up a tall dune, you then climb on a sandboard (like a sledge but you’re head first) and you fly down the mini sand hill. This one is great fun and gets the adrenaline rushing without massive risks of injury, therefore I would definitely recommend giving it a try. Twice as deep as the Grand Canyon, the Colca Canyon is actually the world’s deepest canyon and is one of Peru’s biggest attractions. This is another area like Machu Picchu where you have to be careful with breathing as the high altitude does get to you. 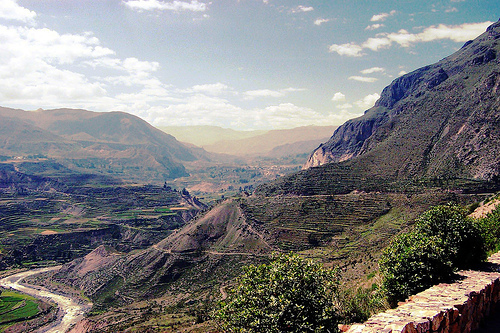 The Colca Canyon is home to the almost extinct bird, the Condor, therefore attracting keen bird spotters to the region. When my friends returned from South America, they highlighted Lake Titicaca as being in their top three things to see in South America. 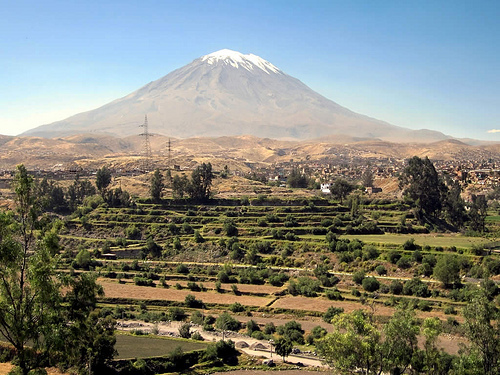 I therefore couldn’t leave this out, especially as it connects Peru to Bolivia, another place that HAS to be seen while travelling across the continent. 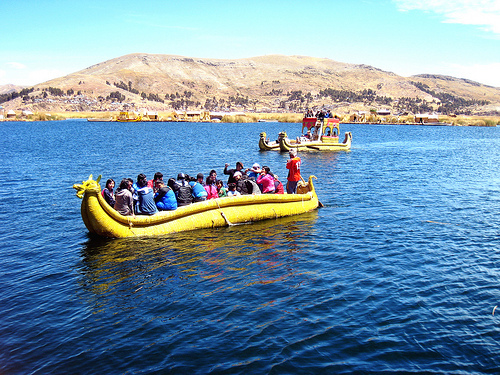 You can also tour the floating reed islands in Lake Titicaca to gain an image into how the traditional Peruvian people lived. 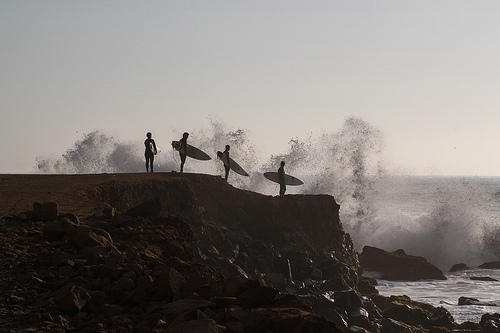 The Peruvian beaches vary from spots for beginners, with surf school’s coating the beaches, to some of the biggest waves in the world, Peru has it all. Whatever your level, it is worth checking out a few of the beaches, whether you plan on getting involved or just watching others ride the waves. 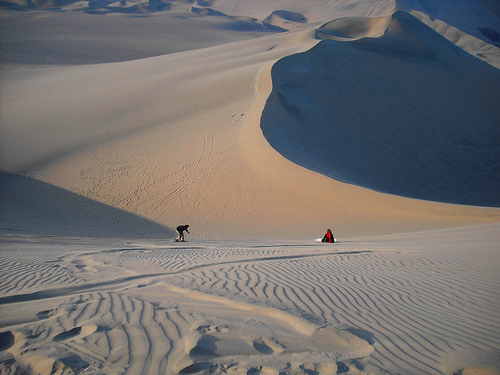 Two well known surf beaches in Peru are Mancora and Chicama, both record breaking for various reasons. An image which appears like an alien drew a monkey into the ground, an aerial view of the Nazca lines is a popular option as you wouldn’t be able to make out the details from the ground. 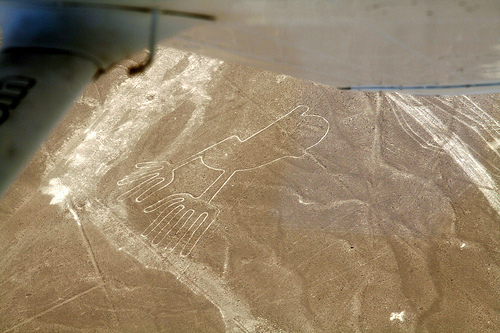 The lines were actually produced by the Nazca civilisation, which lived there during the periods of 300BC to 800AD.